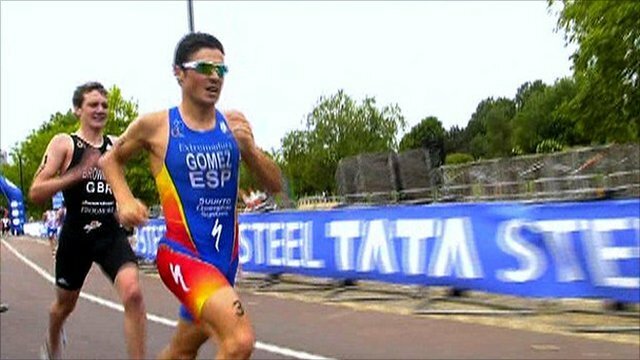 The qualification term runs for two years, from 1 June 2010 to 31 May 2012, and the top 50 triathletes at the end of that period will qualify to compete at the Games. Athletes can use their best 14 results from this term for their Olympic qualification - six from the first year and eight from the second. There are four levels of qualification events, with different points on offer depending on the quality of the competition. The level one events, which carry 1,000 points for the winner, are the two World Championship grand finals (one in 2010 and one in 2011) and one Olympic qualification event, in 2011. There are 800 points available to the winner of each level two World Championship series event - four are being held this year and six in 2011. There are 500 points for the level three World Cups and a further 400 points are on offer in the level four Continental Championships. To collect points in any of the races, athletes must finish in the top 50 and within 5% of the winner's time in the men's race and 8% in the women's race, and the points will be decreased on a sliding scale of 7.5%. This means that, for example, the winner of the world championship grand final gets 1,000 points, second receives 925 points, third 855.62 and so on. Further places for athletes can be attained by nations ranking within the world's top eight countries come the end of the Olympic qualifying period. Three British triathletes have made decent starts in the men's qualification process. Alistair Brownlee, who was the 2009 world champion, won the first World Championship series qualifying event for 2012, in Madrid in June, to bag 800 points. 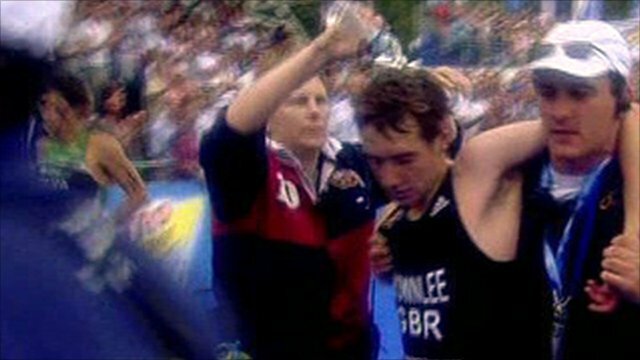 Tim Don, who has competed in the last three Olympics, finished third in the Hamburg world series race in July, while Brownlee's younger brother Jonathan was second in London. There is just one more world series event remaining, in Austria, before September's grand final in Budapest. In the women's competition, Helen Jenkins is the best-placed after two third-place finishes in Hamburg and London.